Jair Oliveira hails from Recife, Brazil and currently lives just outside of San Francisco, California. He is a costumer, artist and samba dancer. There is no school for learning how to make a carnaval costume. One has to figure it out all by themselves and hope for the best. Jair has an uncanny ability to put together various elements of style, color and theater to create a work that transforms the wearer into a fabulous exotic creature. These costumes are meant to read from far away. They are monumental up close. Made from scratch, Jair works long hours in his studio. Most times he doesn't need to sketch out a concept before jumping into the process of gluing, sewing and fabricating the frames that hold hundreds of feathers. 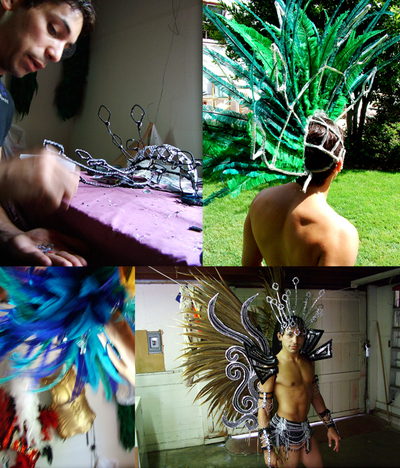 His studio is colorful array of sequins, feathers and bits of shiny cloth strewn all over the place. What emerges from this chaos is pure fantasy. 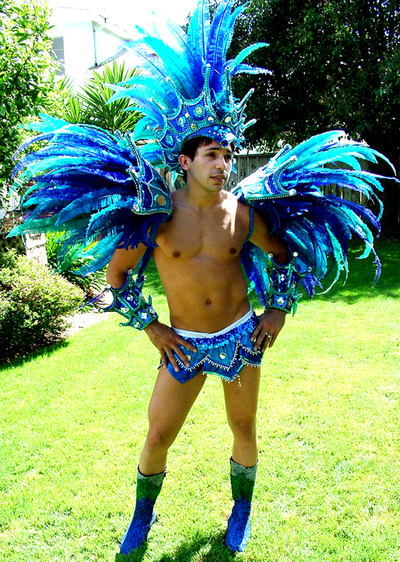 Costumer and Samba Dancer, Jair Oliveira models one of his creations. As San Francisco gears up for their annual Carnaval Parade this Sunday, dancers, musicians and designers are working around the clock in preparation. Not just a Brazilian affair, the SF Carnaval is a celebration of all cultures of the city. California's 'largest multi-cultural celebration', the theme this year is Suenos de la Ninez - Land of Childhood Dreams. Check back here in a few days as the full story and photo essay on Jair's beautiful designs will be posted. 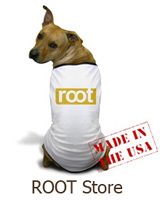 His costume this year is top secret until the parade so look for Energia do Samba dancers, #33 on the line-up!